Nature has granted Bangladesh with abundant fresh water, in the form of numerous groundwater resources that are not too deep and are therefore easy to exploit. 8 million wells were installed during the 1970s and 80s, which now give almost 90% of the population access to water. However, for essentially geological reasons, almost all of the groundwater has been found to be contaminated with arsenic, very often at levels that make it a heath threat. Today, more than 30 million Bangladeshis have fallen victim to chronic arsenic poisoning and some have even died. Against this background, Grameen and Veolia Water have decided to combine their complementary skills to make clean and safe water accessible to villagers in the poorest parts of Bangladesh. A new company was formed under the name of Grameen Veolia Water Ltd (GVW) with a mission to build and operate several water production and treatment plants in some of the poorest villages in the center and south of Bangladesh. According to the “non loss, no-dividend” social business model, drinking water is sold for 2.5 Bangladeshi taka per 10 liters (2.5 euro cents per 10 liters), an affordable price for the local population. To support the development of the project, GVW has also started a 5 US gallon water-jar business in Dhaka City. All profits earned from this business are reinvested in the development of its safe water distribution system in rural areas. The first project takes place in Goalmari, located 50 km east of Dhaka. Goalmari's population is about 25 000 inhabitants. The local population use groundwater for cooking and drinking but 83% of the deep tubewell are naturally contaminated in arsenic (>10µg/L). As the surface water is not contaminated in arsenic, the plant uses river water that is filtered and treated. The water will then be provided via a pipeline network to “tap point” where “Grameen ladies” can dispense the water at certain times during the day when people bring there pitchers or jars. These points are located at key areas of the villages. In 2010, the network was extended to the neighboring villages of Padua Union, bringing the total number of people with access to drinking water to 2,600. The next stage of the project will bring water to a greater number of Goalmari and Padua Union residents, as well as the surrounding villages providing 4,000 people with access to drinking water. If the break-even point has not been reached yet, the sells are progressing and the social impact is more than significant: thousands of local people finally have access to drinking water that doesn’t make them ill. How could we not encourage such a purpose? A social business takes time, especially reaching the up-scaling phase. However, GVW has learned from its mistakes and adjusts its action everyday, with humility and perseverance. 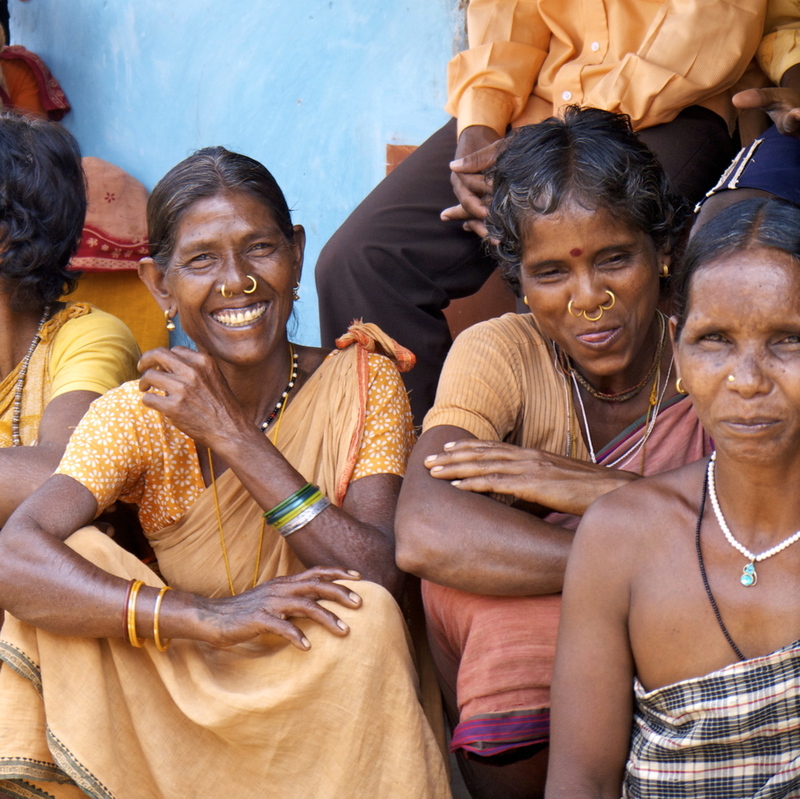 In close partnership with Drishti Research Centre, they were able to improve the understanding of the population’s culture and behaviors, and provide a remarkable groundwork. This relevant anthropologic and research-approach lifted major impediments to the development of the project. It enables to identify good practices and potential improvements day after day. Besides the crucial sanitarian impact, Grameen Veolia Water also created employment. In fact, beneficiaries of the project are also the local people working on the project: the plant’s staff of course, but also the auxiliaries whose mission is to raise awareness on water and health, and the ”water dealers”, in charge of the tap point distribution. Not only does these villagers, and mainly women, now have a job, they also have an opportunity to play a major role in their community, bringing them pride and strength to fight for a better life. Shande is a calm and altruist woman. She is married with 3 healthy children. She has been working has a water dealer for Grameen Veolia for almost a year now, and sells an average of 4 000 litters a month to 18 households. 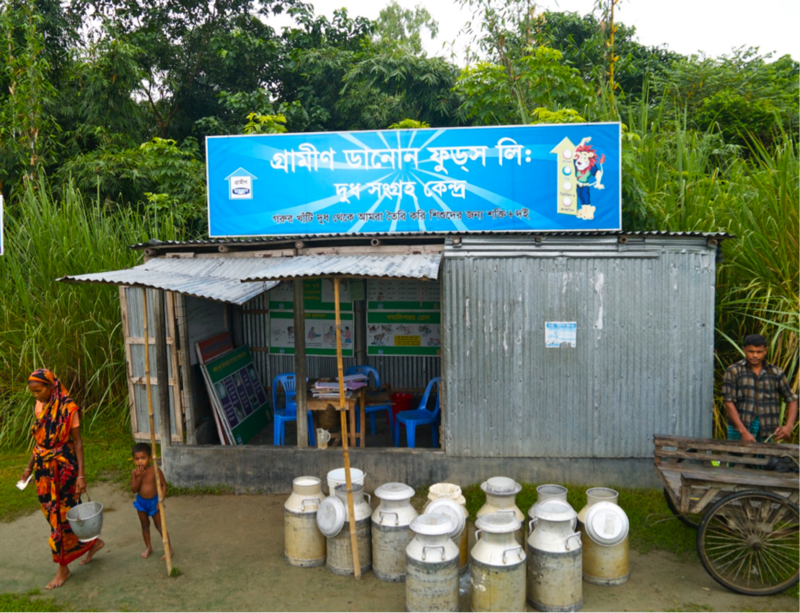 Indeed, “this area of Goalmari village is very satisfying in terms of sells and awareness, tells me Roubina, Grameen Veolia’s SEO (Socio-Economic Officer). The community is very enthusiastic about the project”. Even if it is a poor area, yet it is one of the highest selling points. They understood the health messages Veolia has given them through the auxiliaries. It proves how crucial the education of these communities is. It is the only way to remove the price barrier. Shande really likes her job of water dealer. Of course, it is not always easy to sell the Veolia Water, as some people still don’t want to pay for water, a natural resource they always had for free. But Shande tries to give them all the information she has on the danger of Arsenic to convince them. And the auxiliaries are doing an important work of education to help the community being more aware. “It is a very good project, I am proud to work for Grameen Veolia”. Shande feels she has an important responsibility, that she is doing something good for her village. She loves her work. Indeed, thanks to Grameen Veolia, she is now able to earn some money. Even if the commission is not very high, the bonus are good and helpful. She had a double bonus last month and that makes her smile! But the main motivation for Shande is mostly the role she plays in her community and the socializing benefits. Her work enables her to interact more with others: “I can meet and talk with a lot of people, build relationships“. (Her eyes are now brighter as she speaks; we can feel how meaningful these interactions are to her). Furthermore, she is improving the social welfare of the community, and that makes her smile even more: “I am happy because I am keeping safe the people from arsenic”. What has changed in her life? First of all: knowledge. Thanks to GVW she has learn a lot about water, health and about arsenic. She has also gained conversational skills. Furthermore, she now has an income and is able to help her family. That financial contribution is important to her. Rahima thinks all women should work: “It is a source of income and personal development for women”. Rahima feels stronger. Finally, her job has brought her confidence and social bonding. Her work enables her to meet and talk with a lot of people everyday. And she really enjoys these interactions. Her dream for the future? It is not about her or her family; it is about health for her community. “I wish that one day at least 80% of the people in the region will buy and drink Veolia’s safe water”. These two women are happy and proud to work for Grameen Veolia. Talking to them made me realize how much the social bonding was essential for them. 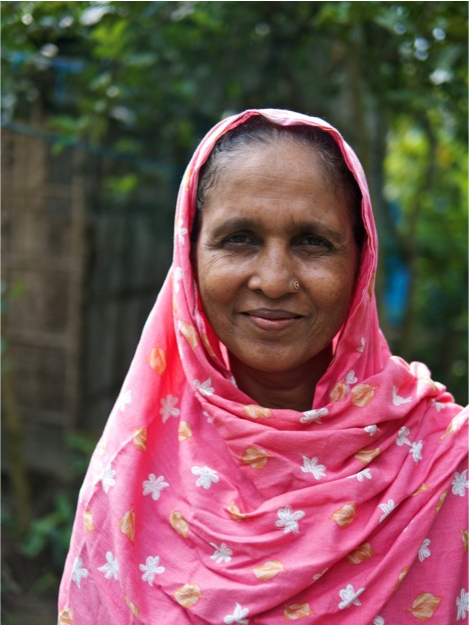 The women living in remote areas in Bangladesh have very few freedom and interactions. Most of them are not aloud to go far from their house. Their social and personal development is limited. Working for Grameen Veolia is an opportunity for creating social interactions. It gives them more strength and confidence, as they can have a role in their community. It is a great chance of empowerment, and most of all, it brings them a lot of joy.